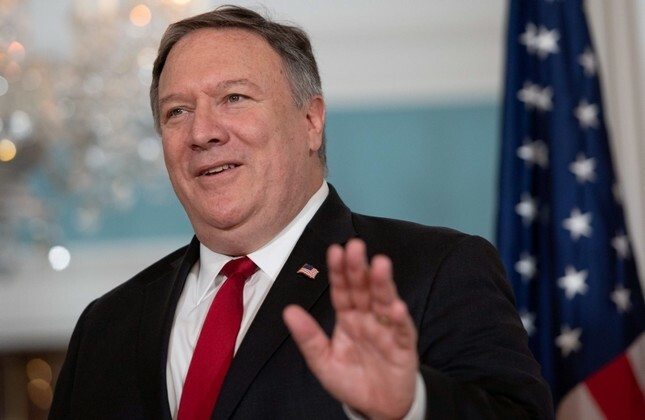 U.S. Secretary of State Mike Pompeo has arrived in Pakistan as relations between the two countries sink to a new low. Pompeo said he wants to "reset" strained relations, but the appointment of Zalmay Khalilzad as a special adviser on reconciliation in Afghanistan could complicate his job. "[Khalilzad] has been very critical of Pakistan in the past and his appointment will not help move things forward," said Zahid Hussain, defense analyst and author of two books on militancy in the region. Relations between uneasy allies have frayed in recent years, with Washington accusing Islamabad of turning a blind eye or helping Afghan Taliban and Haqqani network militants who stage attacks in Afghanistan. Pakistan denies doing so. Pakistan's new foreign minister, Shah Mehmood Qureshi, said he would "have exchanges" with Pompeo over Washington's cancellation of a $300-million disbursement for the Pakistani military. Taking a tougher line with an ally that U.S. President Donald Trump considers unreliable, the U.S. halted the disbursement of Coalition Support Funds due to Islamabad's perceived failure to take decisive action against Afghan Taliban militants operating from Pakistani soil. The U.S. has withheld $800 million this year, cuts Pakistan says are unwarranted as it incurs expenses in fighting militants who pose a danger to U.S. troops in Afghanistan. Pompeo is also expected to discuss Pakistan's possible plans to seek a bailout from the International Monetary Fund (IMF) to ease currency pressures and avert an economic crisis. In July, Pompeo said there was "no rationale" for the IMF to give money to Pakistan that would then be used to pay off Chinese loans, comments that further rattled Islamabad.